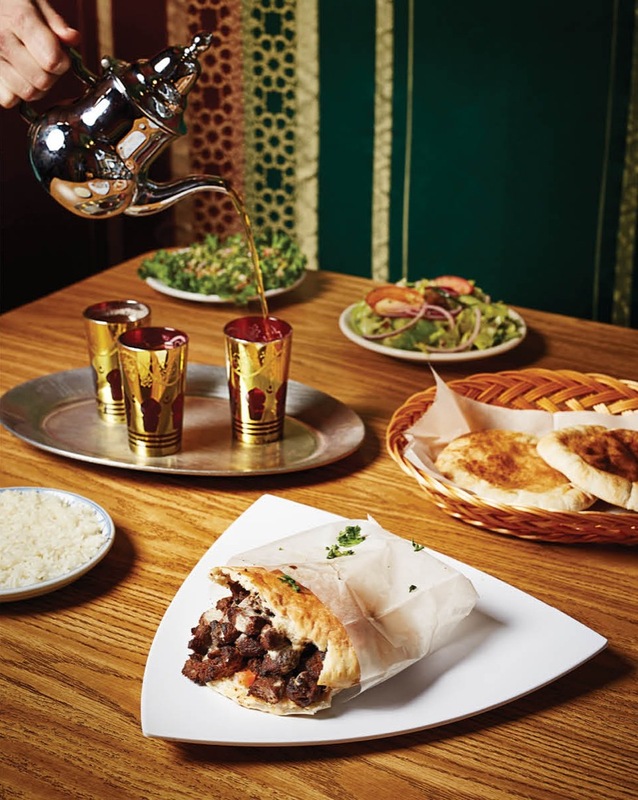 Ludlow Avenue has long been home to delicious, if dueling, Indian food palaces Ambar and Amol, but the addition of Marrakech last year seriously ratchets up the cachet of Clifton’s eclectic cuisine. For starters, don’t miss the mezze: the baba ghanoush is earthy and robust, the grape leaves are tender and briny, and the tabbouleh salad is blissfully authentic, with parsley outweighing the bulgur 20-to-1 with plenty of lemon and just a hint of mint. The merguez sandwich is a solid winner—moist and savory, never greasy. Slices of spicy lamb-and-beef sausage are tucked into toasty rounds of pita with a piquant green olive and tomato relish. The chicken kebab sandwich is equally toothsome. Fork-tender cubes spiced with plenty of tumeric and cumin are served with a cool, creamy beet salad. As for heavier entrees, their lamb tagine—a meaty shank simmered with curry, cinnamon, and cumin—is a steal at $12.99, and comes with rice and a generous salad of tomato, cucumber, and onion. Skip the soda and sample some lightly sweetened mint tea served in delicate tulip-shaped glasses. Pro tip: Go with a crowd and order a slew of appetizers to nibble on, then segue into shared entrées, finishing with a slice of baklava (or two). With service this amiable and food this tasty, you won’t want to rush away. Marrakech, 341 Ludlow Ave., Clifton, (513) 442-2233, Facebook. Lunch and dinner seven days.